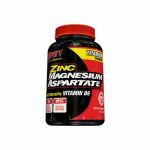 Deal Categories: Minerals and Vitamin Products and Bodybuilding.com Coupons.Stores: Bodybuilding.com. EXTRA 15% OFF SITEWIDE @ Bodybuilding.com with coupon. This Coupon stacks with the other sales on the site!